How's your day? I'm excited to share with you a simple review on Laniege Water Bank Moisture refill kit. Although it's just a small sample pack, the difference is clear. I can really feel the moisture surging through my skin. Pretty Song Hye Kyo, the all time Laneige ambassador. 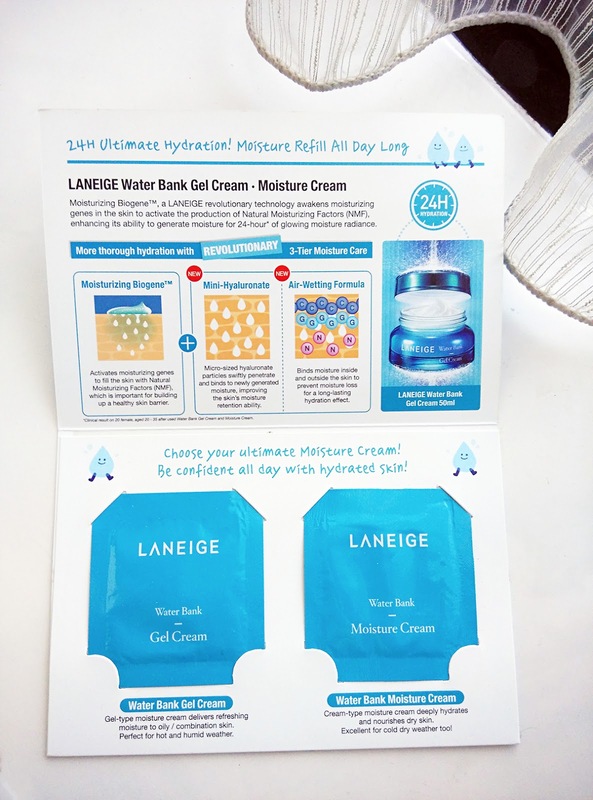 Moisturizing Biogene™, a Laneige revolutionary technology awakens moisturizing genes in the skin to activate the production of Natural Moisturizing Factors (NMF), enhancing it's ability to generate moisture for 24 hour of glowing moisture radiance. A full size bottle is 50ml but this is just a few drops. 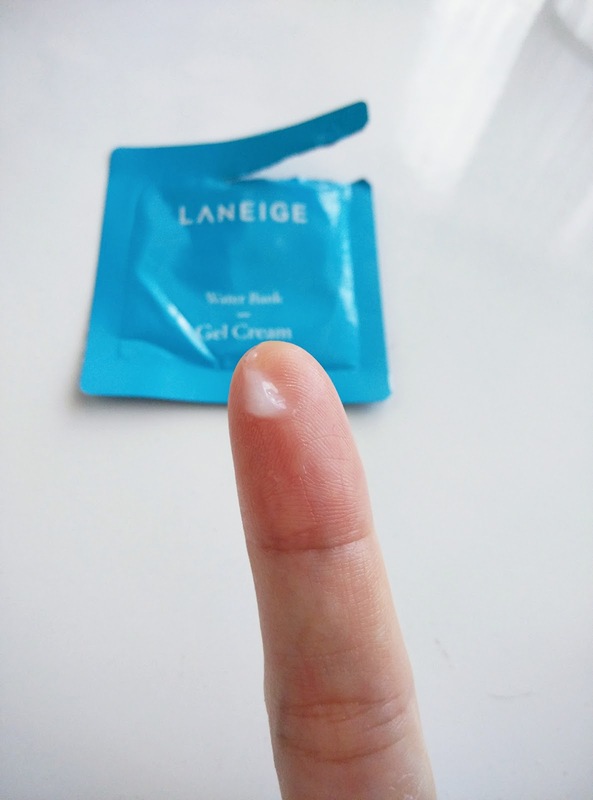 I was informed by the sales assistant that for our tropical weather, Water Bank Gel Cream is used in the morning as it delivers refreshing moisture to oily or combination skin. It is perfect for hot and humid weather. The texture is like hair gel and can be a bit sticky but can immediately feel your skin smoother and moisturized. 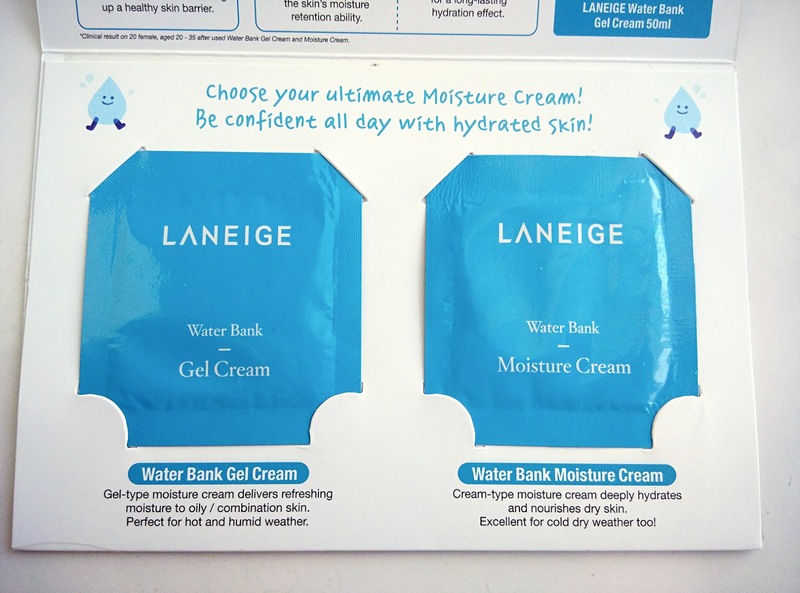 Water Bank Moisture Cream has a thicker consistency and perfect to nourish dry skin. Because it is excellent for cold dry weather, I was advised to use this at night. Just as I thought the gel cream is already sticky, the moisture cream is even stickier. 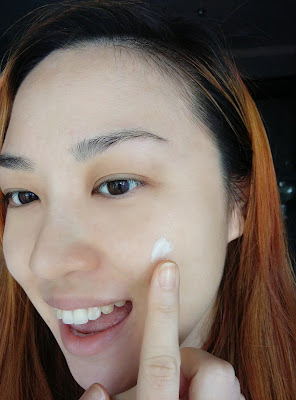 Texture is exactly like a typical moisturizer. Well, maybe I;m not used to applying moisturizer on my skin.